Group members – Oriana, Isa, Sofia and Ayal. 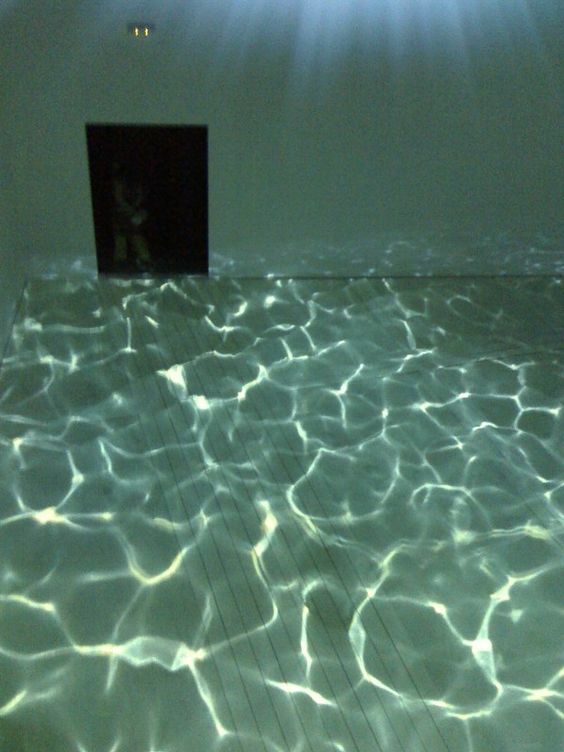 For our midterm project we decided to go with the indoor-under-water illusion. We decided to perform the piece in the micro-studio at the floor. The plan is to enclose about half of the micro-studio space with white curtains and use a concave light diffusing cloth to create the ceiling. We plan that the audience will sit on the floor and be able to look up to the “water surface”. 3-4 light sources with water container contraption, which we’ll put inside and on-top of the chamber to create the water ripples and caustics. Sounds of water ripple and splashing. 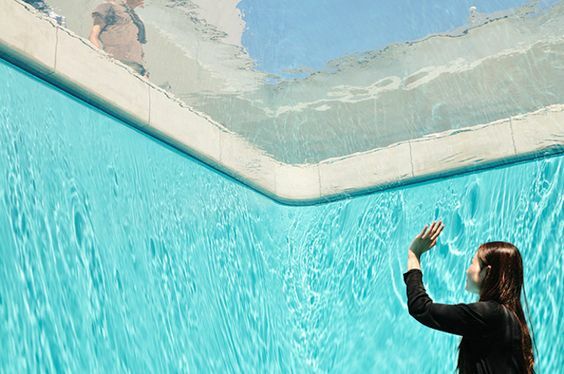 We plan to use different silhouettes to create the notion of being in the bottom of a pool. For example – a pool ladder, dangling feet of someone sitting on the side of the pool. We were also thinking of laying-out tiles that will resemble a pool floor. The main challenge in this piece is to really create an illusion and not just make a meditation room. The key elements for this would be to make the water caustics overwhelming and believable enough to create the sensation of being submerged. The contraption of the water-light-source is a crucial component in the process. Creating the ceiling design would take more thinking on how to make the sensation of looking up from the bottom of a pool. This could happen with making a light source that could act as the sun, shining through the water surface.